During this sweltering summer season one thing is certain: staying cool and hydrated is everyone's top priority. For some though, finding that relief is not an easy task. 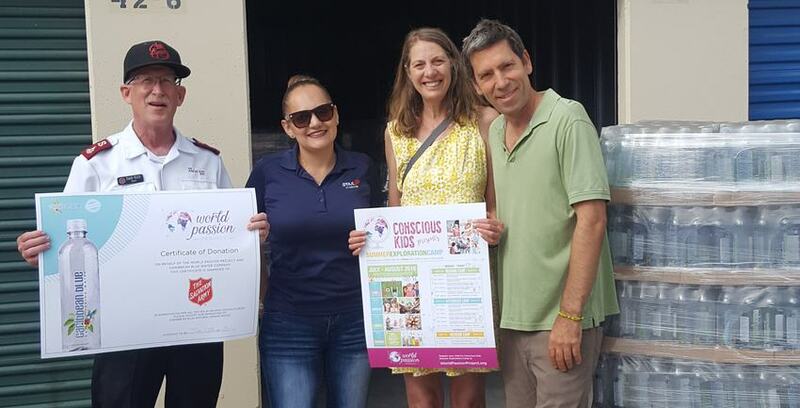 That’s why StaxUP Storage in Chula Vista partnered with World Passion Project alongside philanthropic organizations such as the Salvation Army and Love Thy Neighbor to make a difference in their community. On June 28th, 2018 StaxUP Storage welcomed a truck from the World Passion Project filled to the brim with bottles of water donated from the Caribbean Blue Water Company. While 13 pallets of the donation will go directly to the Salvation Army, the rest was split between Love Thy Neighbor and StaxUP Storage in Chula Vista. Gary also gave a shout out to Mark and Ellie Lamson for their generous donation and business with StaxUP Storage. Thanks Mark and Ellie! The day was long, but there were smiles for miles that graced the faces of all who participated in making this heartfelt day possible. Self Storage Milestone: Happy 1-Year Anniversary to Brian Rodas!